The day all of the drivers have been waiting for all season. 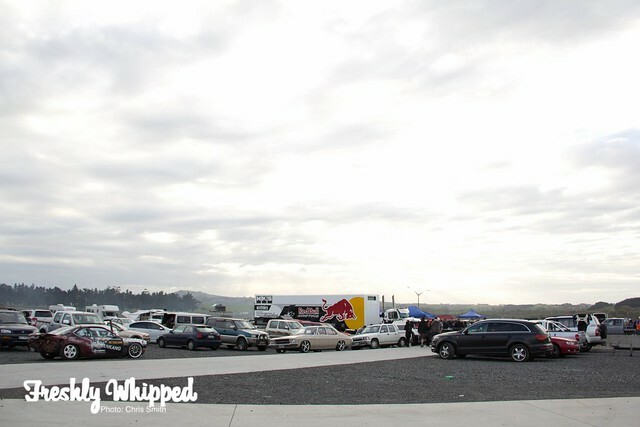 Hampton Downs, the new track on the block provided the final D1NZ round. This would see who would win D1NZ 2010/2011 season. As all the drivers made their way to the track early to get ready, we did too. Some trailers stand out over the others, as it seems. Mad Mikes Optimus Prime was an obvious stand out. It didn’t take long for the Rookies to get out on track though. They were out doing their runs to determine who wins the Rookie round. Nico Reid was out showing the big boys what he can do. Expression runs allow the guys to get out and compete together. Tandem runs liek this one allowed drivers to get some close competition going. Literally. 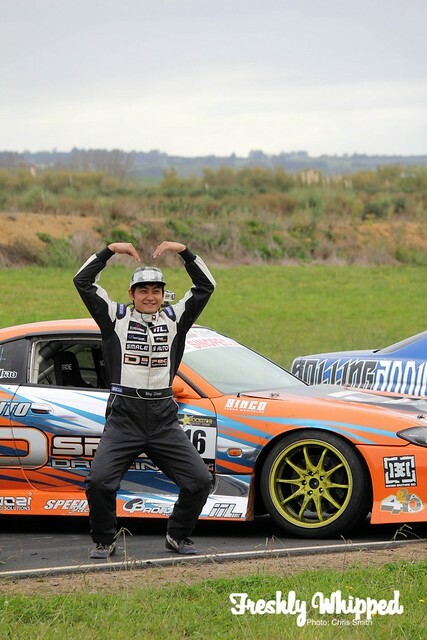 Sky Zhao was out giving some impressive runs, but sadly failed to make it pass the top 16. He put on a bloody good run up against Curt however. 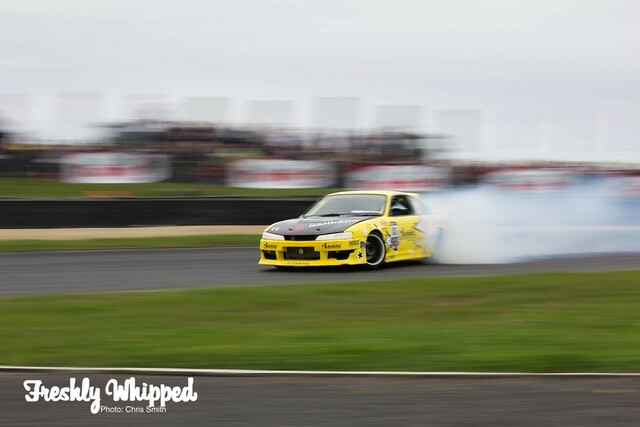 There’s something about an R34 creating clouds that I love. Steven Soles’ Chaser is a nice change from the usual cars. Although it’s a bigger car, it still slides very well. 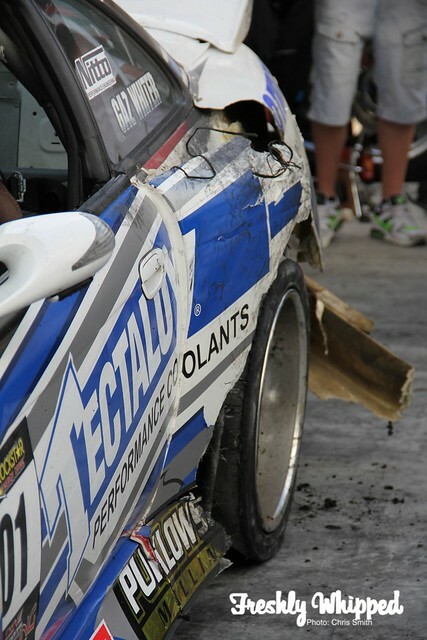 Jake Jones’ and his ‘Sonvia’ managed to put up a hell of a fight. I’m very keen to see him back next year. Gaz Whiter has had a few troubles this past season with Motors, but has managed to come back every time and tear up the track. D1NZ also never seizes to bring out many Go Pro cameras, as seen on Gaz’s roof. 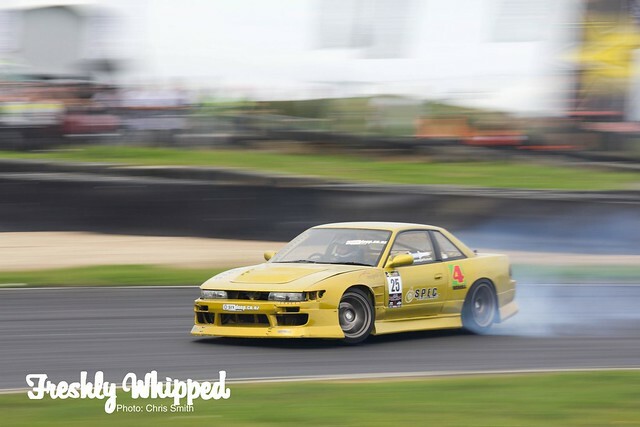 Paul Tomlin’s S13 was looking great in gold. I love the zip tie surgery on the front bumper. Zip ties are amazing little things. 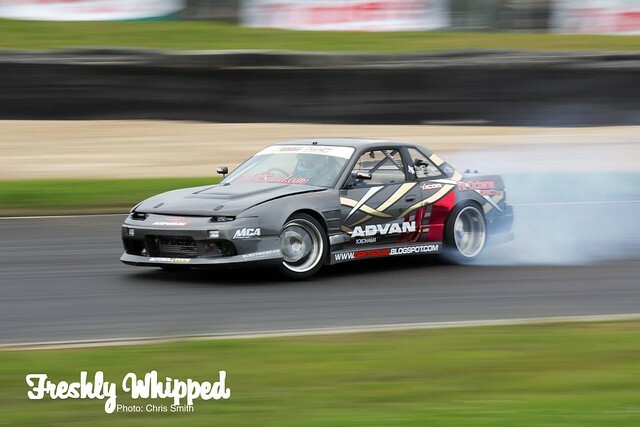 Andrew Redward, like Daynom Templeman also had troubles with his RX7. Luckily with another car in the waiting Andrew was able to be out drifting still. 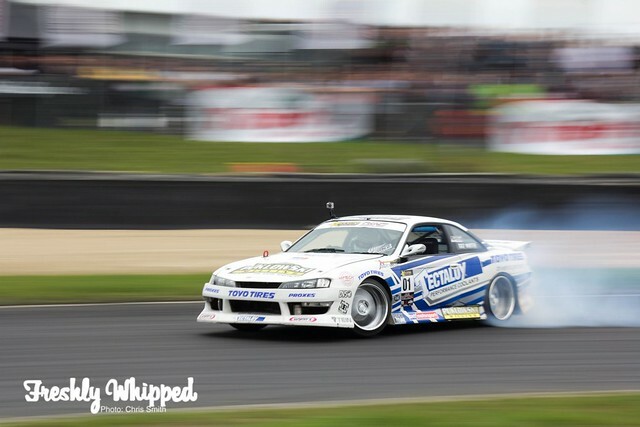 I do love the livery on this S14, very D1GP-esque. After the Pro drivers did their qualifying runs the top 16 lined up for all to see. As they’re introduced, many wave to the crowd. Sky Zhao kept it original instead. Love it. As the drivers drove off, many were prompted to do burnouts for the crowd, Hugo Mclean managed to ‘lay some licorice’ very well. As the battles moved on throughout the day, it came down to the two big guns. Carl Ruiterman and ‘Fanga’ Dan. With Carl coming it out on top. 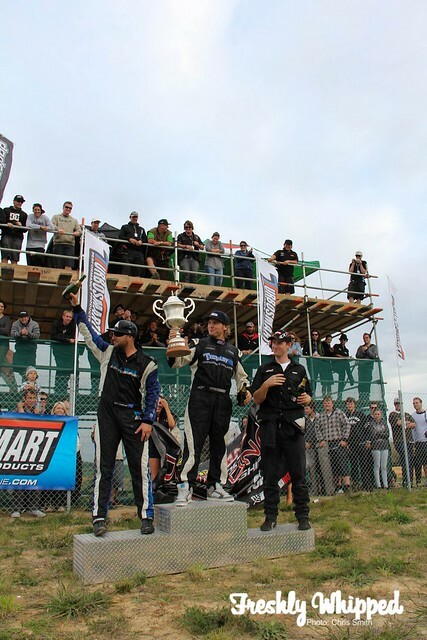 With Nico Reid winning the overall top spot for the Rookie drivers, we’ll no doubt see him giving the bog boys a run for their money next season. I can’t wait. Although Carl won the day, it was still not enough to tack the final top position with Gaz Whiter coming out on top and Curt Whittaker runner up. 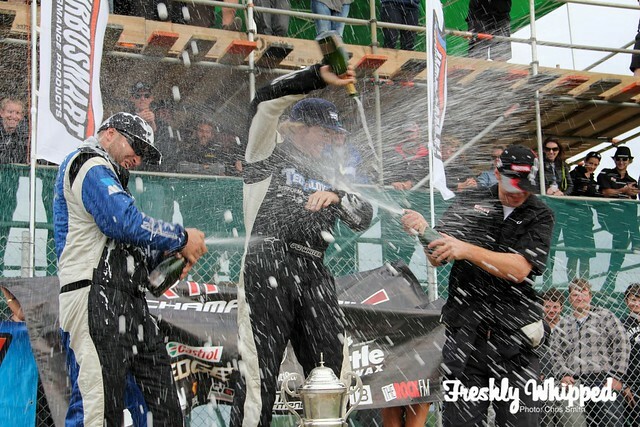 The traditional champagne soaking occurred soon after. As the winners did their burnouts, the media was heavily present. We’re like a swarm. 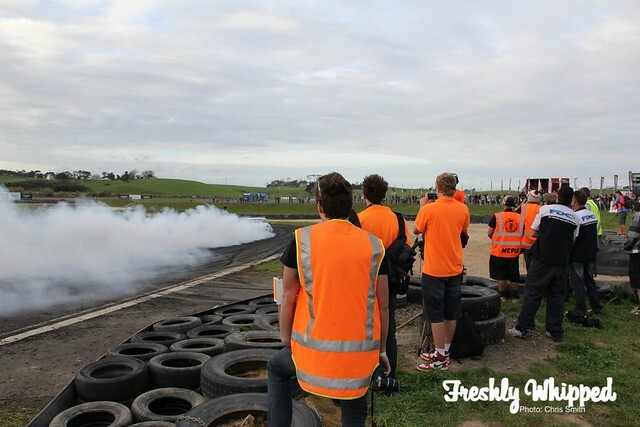 Real men don’t destroy tyres when doing burnouts. Real men destroy panels. 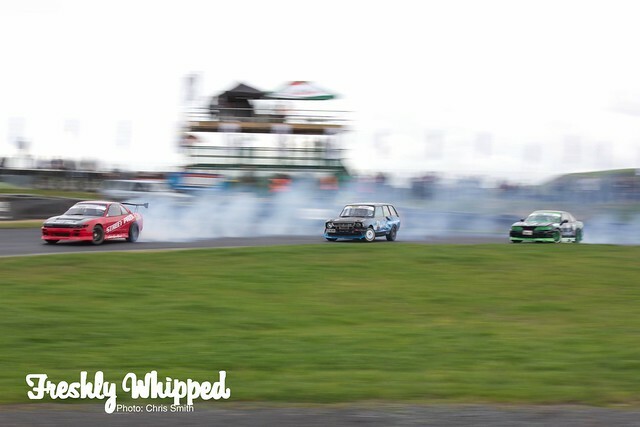 Gaz Whiter surely knew how to do so, with little pieces of his car flying all over the track. Job well done. As the day ended, I went for a walk around the pits and centre-track. Jake Jones was kind enough to give me a wave as I took this photo. It always adds a nice charm to the photo. All of the drivers will be back in the garage working on their cars to get them all tidy again for next season. Hopefully the Aussy’ folk will be back over to give us Kiwi’s a run for our money. Many thanks to Ian Lee for letting me borrow his camera for the day. The rest of the photos are up on Facebook and Flickr. Copyright © 2019 Freshly Whipped.